Know your next tangible step. Ready to rise above your current earning plateau? Eager to experience more financial ease & abundance? TO CATALYZE A SHIFT TOWARDS PLENTY. Sometimes there is a mindset blocking us from prosperity. Sometimes there are very real practical or strategic steps that must be taken to achieve abundance. And sometimes the body itself, with its energetic system, sabotages our efforts to escape from the ‘struggle’. The body can act as the protector - a nervous system that operates on alert, rejecting the new, the unfamiliar, and the unknown - even when this is what we want: the experience of having plenty, of abundance, of prosperity! This day-long workshop is designed to allow into your life the prosperity you desire. If you feel frustrated by your current state, there are likely unconscious, and conscious, blocks preventing a new reality from manifesting. WE WILL SUPPORT A NEW WAY FORWARD. By aligning and integrating the physical, emotional, and mental experience of prosperity in our bodies, we expand and allow more wealth into our lives. Through yoga, meditation, action-oriented exercises, journaling, sound healing, and expert guidance you will experience a process to: Open. Identify. Heal. Plan. Integrate. Support & Restore. Join us for a powerful day to align your body, mind, and creative energy to allow more prosperity in your life. You are frustrated with your current financial reality – you know, deep in your bones, that you can achieve more financial prosperity than you are experiencing right now. You see others achieving this effortlessly and you feel stuck, helpless, and despairing. You are doing everything ‘right’ but prosperity still feels illusive, and unattainable. You feel conflicted about money: you want more but also hate it and all it stands for. You are tired of the struggle. You are ready for more ease. You know that this work is a process, but you need guidance to ignite a transformation that you will deepen and continue after it ends. You are not too keen on yoga, or exercises that explore your internal life. I am a little out of shape, and haven't done much yoga, is that ok? Yes! Tanya will adapt the poses to accommodate all skill levels. You will benefit from being present in your body and allowing yourself to open energetically. We will lead all of you through yoga, meditations, and exercises designed to illuminate, clarify, and strengthen your understanding of where you are, and how to get to the next level financially. We will wear comfy clothes, drink lots of water + tea, and have a break for lunch to nourish your brain + body as it navigates transcending your current reality. Our work will primarily be individual, but we will save some time for working to support one another as a group. I have tried so many things, how can I trust that this will be the solution? We know how frustrating it can be - and how much the frustration contributes to your lack of trust. We want to encourage you to ask: how is this workshop similar to what you have tried before? How is it different? If it feels too similar, perhaps you want to explore an entirely new direction. But if you are still hearing your inner voice nudging you to sign up for this workshop, we want to urge you to trust that. We want you to be a YES! But we also want you to challenge a doubting voice...because that can be a sign of sabotage, actively preventing you from taking the next big leap. Bottom line, we trust that you know what is best for you, we also know there is no magic bullet for transformation. You have to keep trying, and showing up. But we know you will make great strides should you want to join us! Dang! I am busy those dates. Will you be doing this again? Yes! We hope to be holding the same one-day workshops frequently. Do you want to be one of the first to know? Fill out this form and you will be sure to get the earliest details possible! "Before I attended, I had some ideas of my negative subconscious beliefs but through the work we did together, so much more was revealed and a deeper entirely different subconscious belief became very clear to me. I feel Tanya’s yoga and energy work had a synergistic effect with Megan’s financial mentoring & journaling to really shift something internally. I left with much greater clarity and a tangible way to how to heal my negative beliefs and connect with a more constructive belief that will help me reach my goals." will guide us through yoga sequences and a meditation to support opening in the energetic body. The intention of the practice will be to strengthen your innate wisdom, intuition, and connect you with your heart's desire. Her intuitive approach allows deep and profound healing for what may be holding you back. will facilitate a compassionate exploration of your individual obstacles around earning and overall financial prosperity. Through targeted exercises, solo inquiry, and journaling, you will illuminate clear and deliberate steps to reach the next income level you are striving for. "The Yoga & Prosperity workshop was like opening a door to parts of myself I haven't known very well, if at all. Transformational is an understatement, my heart, body, mind and spirit are not the same as when I walked through the door on Friday. " Join us for a luxurious few days away, November 2019. To restore, replenish, and expand your capacity for prosperity in the deep woods and healing waters of Breitenbush hot springs. Do you want to be the first to know when we add new workshop dates? Sign up Below! PLEASE let me know of the Next Workshop Dates! Tanya Woods has been teaching yoga since 2000, and continues to deepen her own practice both on and off the mat. She is a certified Ashtanga Yoga instructor, and has finished an additional 200 hour yoga alliance certified training with Sarah Joy Marsh in Portland, OR. 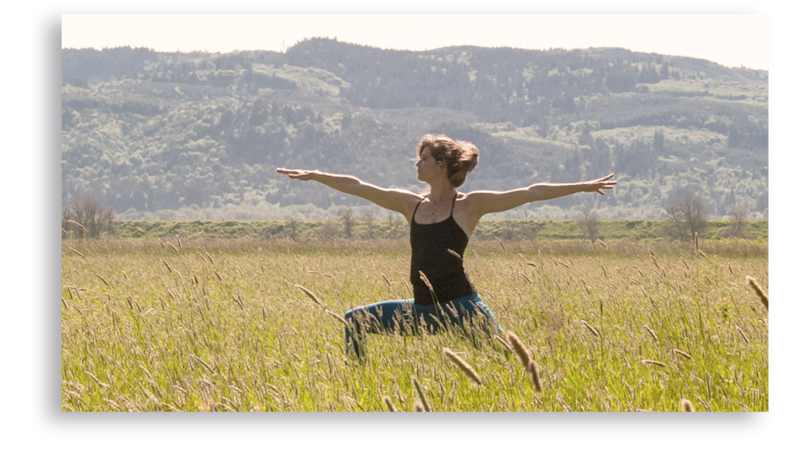 She has studied yoga with Todd Jackson for 3 years as a student which includes subtle body awareness and Iyengar based principles.Tanya teaches an intuitive flow based class in therapeutic principles. Tanya is also a LMT who has been practicing since 2009. 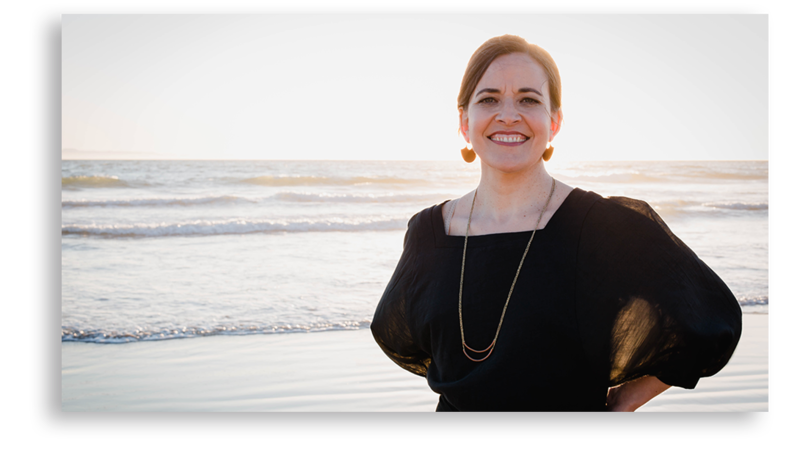 She specializes in energy work that includes Reiki, Shamanism, cranio-sacral, and healing through visualization. Tanya’s highest intentions both on and off the mat are to create a safe space and to move from the truth of ones hearts desire. Megan deBoer has been working with individuals & their money since 2009, first as a bookkeeper for small business owners, then becoming a certified Financial Recovery Counselor℠ in 2013. She is the owner of Tended Wealth – a business that provides emotional and practical financial support to those seeking a healthy - and empowered - relationship with their money. She supports many small business owners, solopreneurs, and professionals overcome their myriad struggles around earning. Her clients regularly celebrate dramatic increases to their income and overall financial wellbeing. 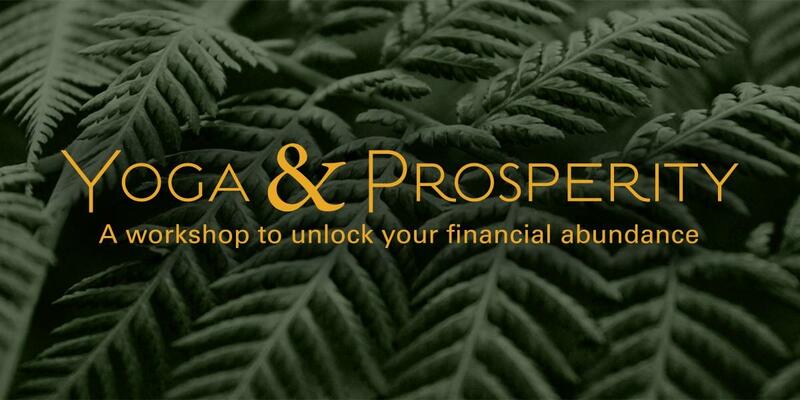 Enter your name and email and we will be in touch when we have the next Yoga + Prosperity workshop dates!